Barclaycard CashForward™ World Mastercard® is a cash back rewards credit card with no annual fee and a straightforward rewards program that pays you back on everyday purchases. The card earns a flat, unlimited 1.5% cash back on all purchases, with no spending categories, caps, or restrictions. Unlike some competing cash back cards, such as Chase Freedom, cardholders aren’t required to opt into specific cash back categories at any point during their tenure. Barclaycard CashForward World Mastercard is comparable to a number of other no-annual-fee cash back cards. Its closest competitors include Freedom, Blue Cash Everyday Card from American Express, and Discover it. When you spend at least $1,000 within 90 days of opening your account, you get a $200 bonus. 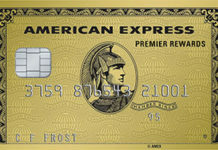 This card earns an unlimited 1.5% cash back on all purchases, with no caps or restrictions. You can redeem your cash back rewards for statement credits, bank account deposits, and gift cards. The redemption minimum is $50. Every cash back redemption comes with a 5% bonus. For example, if you redeem $100 in accumulated cash back, you get $5 deposited back into your cash back account. These bonuses count as regular cash back and can be put toward future cash back redemptions. There is no annual fee. Foreign transactions cost 3% of the total transaction amount. Balance transfers cost the greater of $5 or 3%, while cash advances cost the greater of $10 or 5%. Late and returned payments cost up to $37. This card comes with a 0% APR on qualifying balance transfers made within 45 days of account opening for the first 15 months. A 0% APR also applies to purchases made within the first 15 months the account is open. Once the introductory APR period expires, this card’s regular purchase and balance transfer APR rises to 15.99%, 20.99% or 23.99%, depending on your creditworthiness, and varies with prevailing interest rates. The variable cash advance APR is 26.24% from the day you open your account. Barclaycard CashForward™ World Mastercard® cardholders get free access to their credit scores through their account dashboards. This feature also comes with notifications about recent changes to your credit score, such as after a hard credit pull or missed payment. This card requires excellent credit. Any notable dings are likely to disqualify your application. No Annual Fee. This card doesn’t have an annual fee. That’s great news for frugal cardholders who don’t spend enough to offset a recurring annual fee. Very Good Sign-up Bonus. Barclaycard CashForward™ World Mastercard® has a very good, relatively easy-to-attain sign-up bonus: $200 bonus cash back when you spend at least $1,000 within 90 days of opening your account. For most cardholders who use this card for everyday spending, this is relatively easy to achieve. No Rotating Categories or Activation Requirements. This card’s flat 1.5% cash back earning rate has a distinct advantage: no tiered or rotating spending categories to keep track of, nor any periodic category activation requirements. By contrast, Discover it and Chase Freedom have quarterly cash back categories that require manual activation and aren’t always easy to keep straight. Solid Intro APR. This card’s 15-month balance transfer and purchase promotion is great for new cardholders who wish to transfer and pay down high-interest balances from existing credit card accounts. The 15-month 0% APR period is longer than some competing cards’, including Capital One Quicksilver Cash Rewards Credit Card. Remember that balance transfers must be made within 45 days of account opening to qualify for the promotional rate. Once the intro APR period expires, a variable regular APR applies. Redemption Bonus Stretches Cash Back Earnings Further. All Barclaycard CashForward™ World Mastercard® redemptions come with a nice little bonus: a 5% boost to the redeemed amount deposited back into the cardholder’s cash back account. If you redeem $100 in cash back, that’s good for $5 in extra earnings. Few comparable cash back cards have benefits of this nature. High Redemption Threshold. You need at least $50 in accumulated cash back earnings before you’re allowed to redeem. This is substantially higher than most of this card’s competitors, some of which (such as Discover it) allow you to redeem in any amount. Cash Back Earnings Capped at 1.5%. Barclaycard CashForward™ World Mastercard®’s cash back earnings are capped at 1.5% – there’s no way to earn cash back at a higher rate. This could be a disadvantage relative to cards with tiered spending categories, such as Discover it Chrome (which pays up to 2% cash back on select purchases) and BankAmericard Cash Rewards (which pays up to 3% cash back on select purchases). Charges a Foreign Transaction Fee. This card comes with a foreign transaction fee of 3%. That’s problematic for cardholders who frequently travel outside the United States – and it’s a drawback relative to no-foreign-transaction-fee competitors, such as Discover it. Requires Excellent Credit. Barclaycard CashForward™ World Mastercard® requires excellent credit. If you have any credit issues to speak of, you probably won’t qualify for this card. Applicants with less than perfect credit can look to more laid-back cash back cards, such as Capital One QuicksilverOne Cash Rewards Credit Card. Barclaycard CashForward™ World Mastercard® certainly doesn’t win any awards for creativity. With a flat 1.5% cash back earnings rate and a vanilla menu of redemption options, this card is about as straight-shooting as they come. But for many consumers in the market for cash back credit cards, boring is good – better than dealing with a confusing menu of tiered categories or remembering to manually activate rotating categories each quarter. Whether you prefer this card over more “exciting” cash back cards such as Discover it and Chase Freedom depends largely on how much mental energy you want to devote to your day-to-day spending and budgeting. So – where do you come down in this debate? Barclaycard CashForward™ World Mastercard® is ideal for cash back card fans who spend in a wide range of categories and don’t want to deal with tiered or rotating cash back structures. It’s not as useful for cardholders who spend lightly (and thus take months or years to reach the $50 redemption threshold), nor for cardholders looking to do better than 1.5% cash back. Solid cash back earning rate, no annual fee, very good sign-up bonus, no manual activation requirements or rotating categories, redemption bonus, and solid intro APR promotion on purchases and balance transfers (followed by variable regular APR) are all good. High cash back redemption threshold, no opportunities to earn more than 1.5% cash back, and stringent credit requirements all hurt. Overall, a simple, straightforward cash back card for everyday spending.